The standard installation (according to the National Hardwood Flooring Association) is when the floor planks are installed perpendicularly to the floor joists. This is the traditional installation that is typically found in most homes. The standard installation has random board lengths that vary up to 6 ft. The diagonal installation is a variation of the standard installation. Boards are installed at a 45 degree angle to the floor joists. The diagonal installation can be a more appealing alternative to running the planks perpendicularly. This option works well in rooms with angles walls. Diagonal installation increases cost. Picture framed borders create a unique border around the perimeter of the room. The borders are beautiful accents to rooms with less furniture like kitchens, or distinctive rooms like great rooms. Borders can be customized to the tastes of the individual from simple to elaborate. 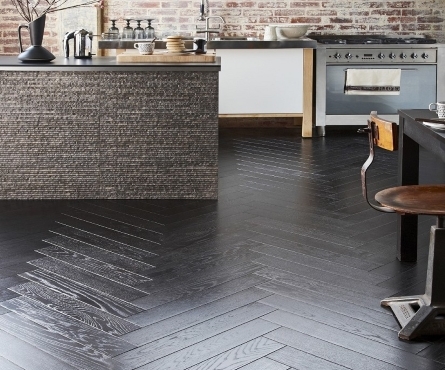 The herringbone design is one of the earliest and most enduring designs in wood floors. It dates back centuries and was first installed by an Italian craftsman in the Fontainebleau palace in France. It is a style that has been continuously used in upscale designs to this day. Add a touch of class to your home. The style is a stunning focal point of any room. No personal library or study is complete without this elegant design. Another stunning edition to our gallery. The basketweave design really kicks it up a notch. It adds visual interest, impeccable style and is uniquely American. It is named after the illusion of the wood planks that appear to be interwoven into a basket. 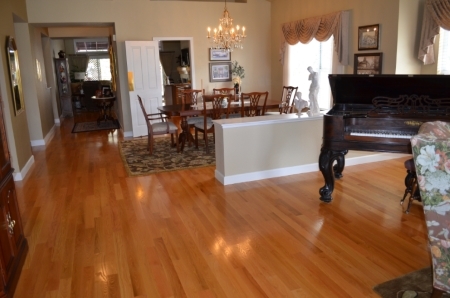 Parquet is a precise, crafted design. It can be displayed in many commercial, retail, or residential applications. It conveys class and elegance. 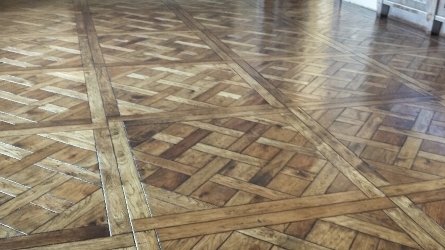 The recognizable parquet pattern consists of alternately placed squares of parallel strips. 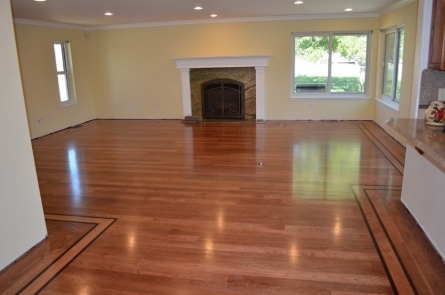 Parquet floors are usually long-lasting and require little maintenance. They are better than floor tiles because they feel warmer underfoot (Wikipedia). 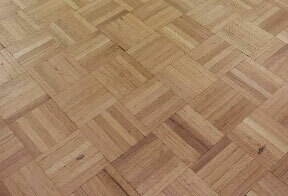 Parquet flooring was famously used by the NBA in their Celtic Boston Arena. Add some interest to bedrooms and hallways. 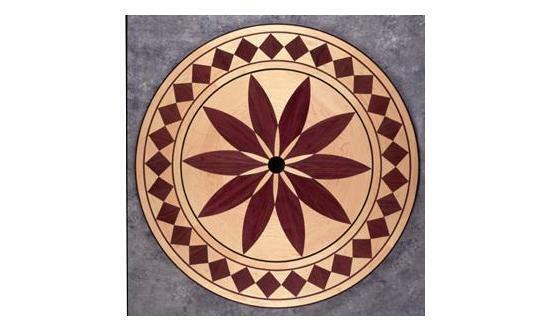 Custom inlays can be any border, medallion, or artwork that is set into the floor. 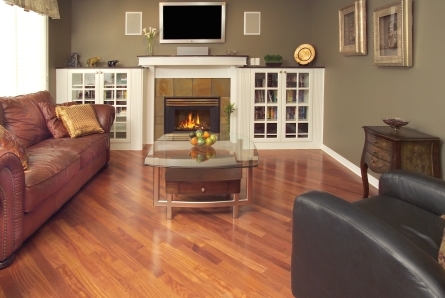 Most can be installed in new or existing flooring. Use existing medallion designs or provide your own for that truly custom touch.